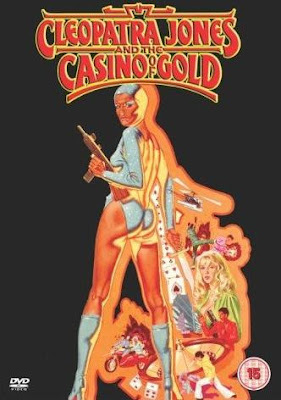 BLACK HOLE REVIEWS: CLEOPATRA JONES AND THE CASINO OF GOLD (1975) Cleopatra, comin at ya! CLEOPATRA JONES AND THE CASINO OF GOLD (1975) Cleopatra, comin at ya! The slickest-looking, biggest budgetted blaxploitation film of the seventies. This was the only sequel to Cleopatra Jones (1973), that also starred the late Tamara Dobson. I watched this to get me in the mood for my first trip to Hong Kong. 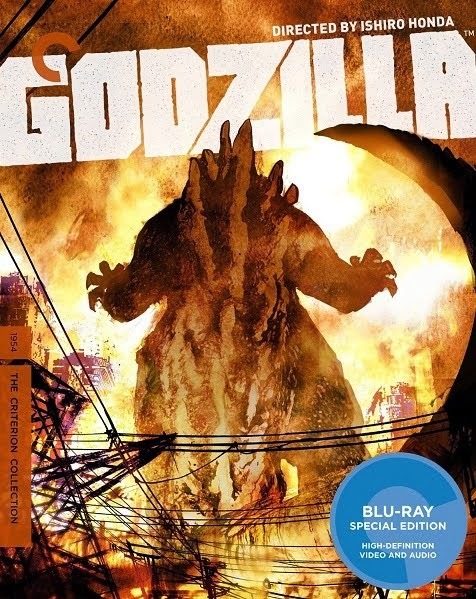 It was the first time I'd seen the film widescreen - it's shot in 2.35 Panavision and has recently been released this way on DVD. Before that I'd been unimpressed with the film on a cramped full-frame VHS. 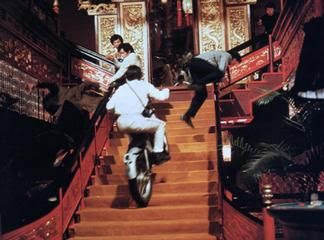 With a large budget, dozens of Chinese stuntmen and the movie studio facilities of Run Run Shaw, the film boasts endless action and huge sets, not least the enormous split-level casino which practically gets destroyed in the climactic fight. The story is slight, but fast-paced. The likeable cast enjoy a stream of catchy dialogue. The formidable Tamara Dobson as Cleopatra, cuts a swathe through every crowd, sporting a fantastic new outfit in each scene. Her magnetism and optimism almost make her glow - an embodiment of the sixties' catchphrase "black is beautiful". It's surprising that her screen presence wasn't used for a third film with this character. Besides her charm, she looks comfortable with pistols and machine guns, but never dominates the fights like James Bond. All of her allies get a sizeable piece of the action too. Her guide around Hong Kong is Tanny (Ni Tien), no mean crimefighter herself - she get's a marvellous fight scene to herself, where she has to fend off six baddies while dressed only in a bathrobe, with her arms strapped to her sides! Fun to see Albert Popwell enjoying himself in a comedy/action role for a change, rather than being gunned down in Dirty Harry movies. He plays one of Cleo's fellow government agents, trying to crack a drug cartel. Stella Stevens plays crime boss, The Dragon Queen. 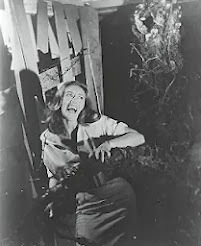 While she's obviously giving it all she's got, in swordfights and hand-to-hand combat, she's not quite as imposing an adversary as Shelley Winters (the baddie in the first Cleopatra Jones), or as menacing. 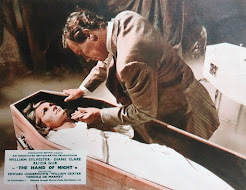 But compared to her usual 'helpless blonde' characters, like in The Poseidon Adventure, her gritty performance as a sadistic lesbian is nearly a revelation! The ridiculously fast and furious action, with stuntmen falling through the air every time Cleo so much as looks at them, is knockabout fun rather than a serious thriller. The kung fu fighting isn't very clearly choreographed, or rather may not have been shot by someone familiar with fight choreography. But that makes this more of a fun film than a vicious one. While much of seventies 'black cinema' preached to the converted about under-explored issues, this is an example of blaxploitation as escapist entertainment. 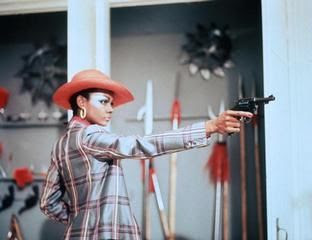 A supercool black woman crime-fighting in an exotic faraway city. But in 1975, the blaxploitation bubble had almost burst. Black actors were integrated higher up in the casts of Hollywood films, in non-stereotypical parts, but in supporting roles, rarely the lead. That's what made the blaxploitation films special while they lasted - top billing, and all-black casts... and big hats. Tamara, you're still looking good.